Mary Sidney is remembered not only for her own work, of which probably only a part remains, but for the patronage she gave to poets, writers and dramatists, and the example she set to the generation of women who followed her. She was born at the old royal palace of Tickenhill, in Worcestershire, during a tour of duty as Lord President of the Marches, by her father, Sir Henry Sidney. Both Mary’s parents were close to the queen, Elizabeth I. Sir Henry Sidney, had been brought up as a companion to Edward VI, and her mother, Lady Mary Dudley, was the sister of Robert Dudley, Earl of Leicester, Elizabeth’s most favoured courtier – and even, some whispered, her lover. Mary’s childhood was spent between the Marches, Dublin (when Sir Henry was Lord Deputy Lieutenant of Ireland), and the family home at Penshurst, Kent. 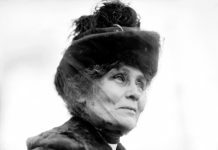 Little is known of her formal education, but we can infer from her later activities that she had a solid grounding in Latin, French and Italian, and perhaps some knowledge of Greek. One later memoirist refers to her having an interest in mathematics and scientific experiments. The Sidney and Dudley families were strong supporters of the Reformed faith, and Mary and her siblings were brought up in the Puritan wing of the Anglican church, with an emphasis on Bible study and personal piety – although without the connotations of joylessness that later came to be associated with Puritans. Politically, the families encouraged the queen to take a firm stance against Catholicism, and influenced her in favour of supporting the Protestant cause in the Netherlands, against the hereditary ruler, King Philip of Spain. Mary was one of five siblings, but her sister Elizabeth died young, and her other sister, Ambrosia died when Mary was just 14. By then, her brothers, Philip and Robert, had both left home so this might have been a lonely time for Mary, had not the queen, sympathising with her friends’ loss, invited Mary to live at court. The offer was accepted with alacrity and Mary was probably present at the great pageant at Kenilworth that her uncle Robert arranged for the entertainment of the queen in the summer of 1575. It was the custom for girls of Mary’s social class to marry young, and she was no exception. A match was arranged with Henry Herbert, Earl of Pembroke. He was much older than her, being in his late thirties, and widowed. Nothing is known of their personal relationship, but Pembroke, although he seems to have been a man of fierce temper, was also cultured and well-educated, so the couple had intellectual tastes in common. Mary bore two sons and two daughters. One daughter died as an infant, and the other, Anne, in her early twenties, but William and Philip flourished. Mary’s marriage made her mistress of the great Elizabethan prodigy house of Wilton, near Salisbury, and it was there that she gathered many of the best poets and playwrights of the time. 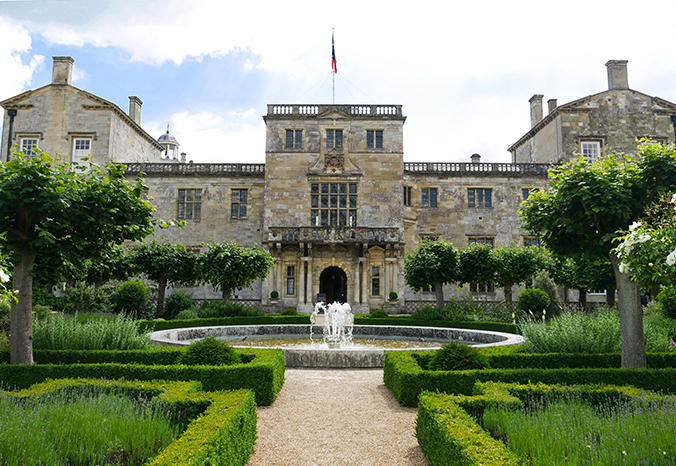 The catalyst for this may have been the extended visit paid to Wilton in 1580 by her brother, Philip. Philip was considered one of the most gifted men of his generation, politically, militarily and poetically, but had been sent away from court for publicly questioning the queen’s negotiations to marry a French, Catholic, prince. During this enforced sojourn in the country, Philip drafted the first version of his famous work, The Countess of Pembroke’s Arcadia, which he dedicated to Mary and introduced her to the writers in his circle, who included Michael Drayton and possibly Edmund Spenser. The siblings began collaborating on a translation of the Psalms, unfinished before Philip was forgiven and recalled to court. Mary, although she visited the Pembroke townhouse at Barnard’s Castle and the court from time to time, remained largely at Wilton. The year 1586 was a terrible one for Mary Sidney. Her parents died within a few months of each other, and she was struck down by illness. Her life was considered in danger, and she was lucky to survive the treatment, which was the lancing of what was probably a quinsy in her throat. Meanwhile, Queen Elizabeth had been persuaded to give direct military aid to the Dutch Protestants, and Philp was serving in the Netherlands, under the overall command of Mary’s uncle Robert, Earl of Leicester. While Mary was recuperating, she received the news that Philip had died – a wound in his leg received at the Battle of Zutphen having turned gangrenous. Philip was widely mourned, not least by Mary, who devoted much of the next decade of her life protecting and enhancing his literary reputation. She deemed a first publication of the Arcadia unsatisfactory, and commissioned a second, extensively revised edition in 1598. She also published three translations of her own. The first two from French originals – one, by Philippe de Mornay was a philosophical work, entitled Discours de la vie et de la mort. The other was a play by Robert Garnier about the Roman general, Mark Anthony. Mary’s version of this, Antonius, was ground-breaking in being the first work of drama published by a woman in English. It introduced into England the trend of using ancient history to comment on contemporary events. Both these authors were French Huguenots, and Mary, like the rest of her family, wanted Queen Elizabeth to keep up her support of the Protestant cause in Europe. The third work of translation Mary Sidney published was of one of Plutarch’s cycle of ‘Triumph’ sonnets – the Triumph of Death. Mary’s most famous work was the completion of the translation of the Psalms. She undertook Psalms 44 to 150. The work, which took as its model the Protestant interpretations of the Psalms by Calvin, was more than a mere translation – her use of different verse forms, and her echoes of the lyrical language of the metaphysical poets drew widespread praise, including an ode from the poet John Donne. The work was dedicated to the queen, and circulated in manuscript, rather than being published for general consumption. For Mary, her position as Countess of Pembroke had both duties and pleasures. While she could enjoy her literary activities and generously patronise men of letters, she also had a role to play as the wife, and then the mother of an earl. She participated in the usual matchmaking for her children, negotiating with the Earl of Hertford for a bridegroom for Anne, and with the Earl of Shrewsbury for a wife for her oldest son, William. William caused considerable friction when he refused to marry one of the queen’s maids-of-honour, who was pregnant by him. Even a spell in the Tower of London failed to move him. 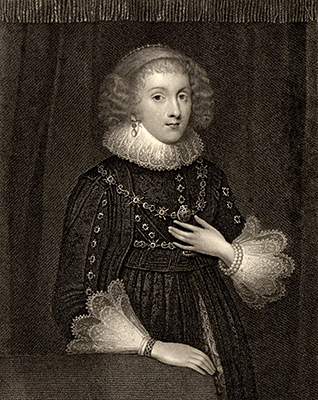 Mary’s other son, Philip, married without consent, fortunately to a very suitable lady, the grand-daughter of the queen’s chief minister, Sir Robert Cecil. After being widowed in 1601, Mary held several properties in dower, including Cardiff Castle, and undertook the usual tasks of a landowner. With the accession of James VI of Scotland to the English throne, Mary gave hospitality at Wilton on several occasions to the new king and queen. It is probable that Shakespeare’s ‘As You Like It’ was first performed there, for a royal audience. In 1612, Mary went abroad for her health, travelling to Spa in modern day Belgium, and then to France. She returned in 1615, accompanied by her friend and physician, Matthew Lister whom it is possible she secretly married. King James granted her lands in Bedfordshire, where she created the delightful Jacobean house in miniature, Houghton House – the model for John Bunyan’s Palace Beautiful in the Pilgrim’s Progress. Mary Sidney died in 1621, and after a sumptuous funeral at St Paul’s Cathedral, was taken by torchlit procession to be interred at Salisbury Cathedral. Her descendants are still earls of Pembroke and Montgomery.